A clean sweep. Easy, brightening pads. Glow easy on yourself with the simplicity of these gentle, deep cleansing pads that do more than just wipe away the day's grime. 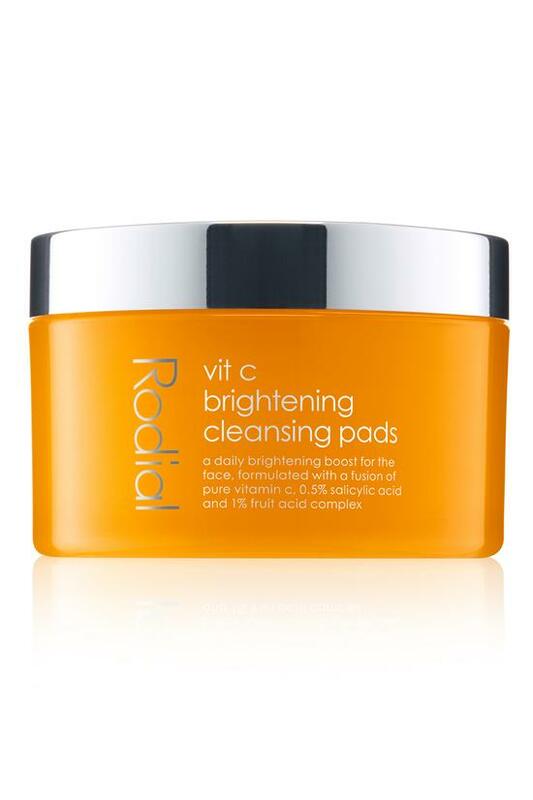 A cocktail of vitamin C and super-fruit AHAs power-exfoliates dulling debris and uneven texture for a bright, gloriously radiant complexion. Salicylic acid unclogs and tightens pores preventing future breakouts. Use twice daily in the morning and evening. Wipe one pad over your entire face.